With the impending arrival of Japanese Ground Forces in War Thunder, you should expect to see much more news from Gaijin's official portals as well as my own. Last time you got to see the Ha-Go light tank, and the Chi-Ha medium. Both are iconic to Japan and others when thinking of Japanese tanks. This time around, you get a preview at of the tank many may consider to be the cute and adorable child of the lot, the amphibious Type2 Ka-Mi. Japan began developing its own armoured vehicles as early as 1926. These were small basic units designed with British influence. Testing was conducted on their own amphibious vehicles, as well as leased British Vickers acquired by Mitsubishi Heavy Industries. In 1933, Japan sought to test if an amphibious craft could be developed for effective mass deployment based upon contemporary industrial production capacity. Mitsubishi Heavy Industries was given the official production order, labeled SR-I (SR being an acronym for Amphibious) and the resulting vehicle was trialed in 1934. At this time, the vehicle used as a basis for these tanks were the Type92 Heavy Armoured Car. 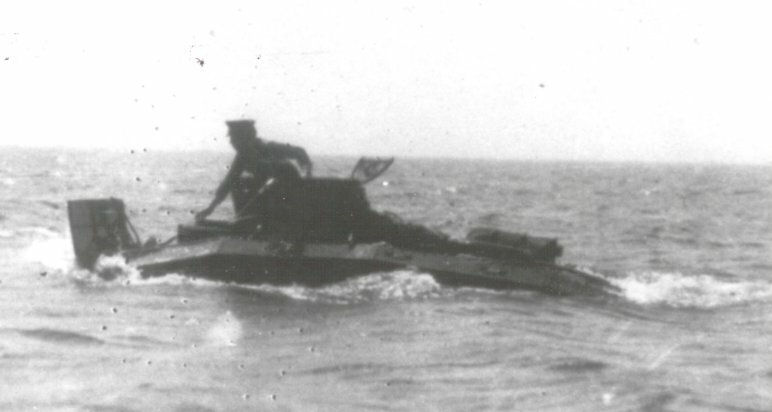 Unlike the Vickers amphibious the British had designed, the SR vehicles resembled actual tanks while attempting to keep the same performance. 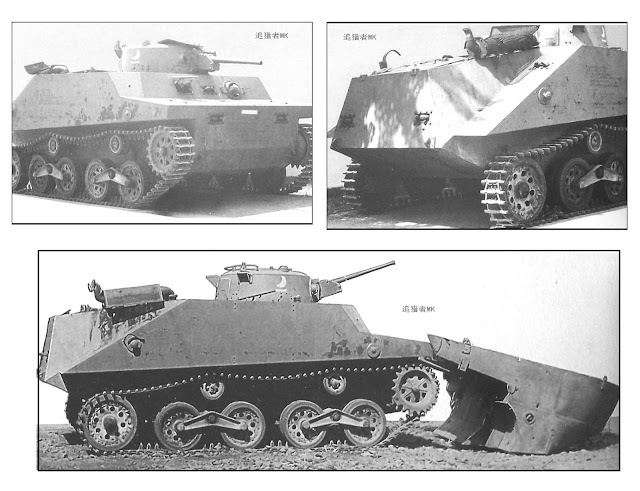 Unfortunately for Mitsubishi, their prototype amounted little more than appearance; during the trials, it quickly became clear that the armament and armour of the Mitsubishi prototype were insufficient. With the failure of the Mitsubishi prototype, the Imperial Japanese Army turned to Ishikawajima motors, today's Isuzu Motors. This, too, could not requirements. Though Ishikawajima would go on to design and build more SR vehicles, the requirements of the Imperial Japanese Army changed, and Ishikawajima's prototypes were never considered for full-scale production. While these failures represented Japan's initial attempts with amphibious assault tanks, they did not give up. In spite of their failure and loss of the initial contract, Mitsubishi, like Ishikawajima Motors, persisted in their development efforts; while they did not meet armament or armor requirements, their vehicles could float and maneuver, and therefore interest in the theme continued. Mitsubishi's persistence would lead to the creation of a Type95 Ha-Go Amphibious model in 1935, yet the project was canceled just two years later due to financial issues, with just one prototype produced. War with China eventually gave Mitsubishi and their prototype the attention they needed most. In 1937, Japan invaded China via Manchuria, storming southward down the Chinese seaboard. During these earliest stages of the war the spearhead of the invasion effort was the Japanese Naval Landing Force, an extension of the Navy, which had been formed after the 1932 incidents with China. Up until 1937 the SNLF had been stuck with the increasingly obsolete Type89 I-Go medium tanks. Slow and poorly armored with a maximum armor thickness of just 17mm and a top speed of just 26kmh, these tanks were simply unable to keep up with the pace of mechanized infantry warfare in China. The Navy therefore wanted something modern, a vehicle which could be converted and serviced in the field, fast enough to keep up with the motorized infantry and supply columns. They would find their answer in in Mitsubishi's amphibious Ha-Go project. 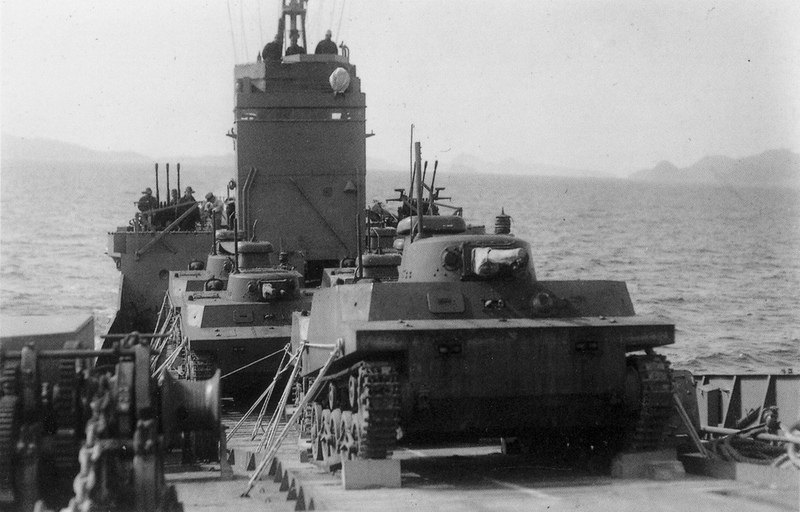 Type89 I-Go of the IJN SNLF. - Constant 10kmh speed on water with a range at least of 100km (62 miles). By 1941, Mitsubishi had nearly completed the requested vehicle and began conducting numerous testing trials in Hamada lake, Shizuoka Prefecture. The tank prototype was completed by 1942 and surprised many with the method Mitsubishi had decided upon. 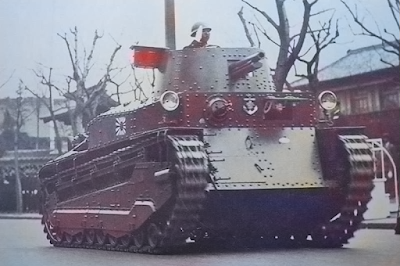 The tank had been designed with completely new parts instead of using an existing chassis as a base, though it was clearly influenced by Mitsubishi's experience from working with the Ha-Go. The SNLF would call it the Special Motor Launch Vehicle. This was an entirely political designation, as the existing conflict between the Army and Navy prevented the Navy from receiving their own tank designs. Once it officially entered service, the designation became the Type2 Ka-Mi Motor Launch. The tank was quite large, which meant that to compensate for the weight the tank was given light welded armour on all sides. The front and back were 15mm on a flat surface for the pontoons to attach to. The sides of the tank were only 6mm thick, a limitation imposed due to the tank needing to float. Yet this seeming lack of armour was actually deceptive; while the armour on the sides above the tracks was just 6mm thick, a separating space was included between this initial armor and the actual 6mm hull armor behind it. This was done to allow the Type 2 Ka-Mi to use internal floatation chambers. 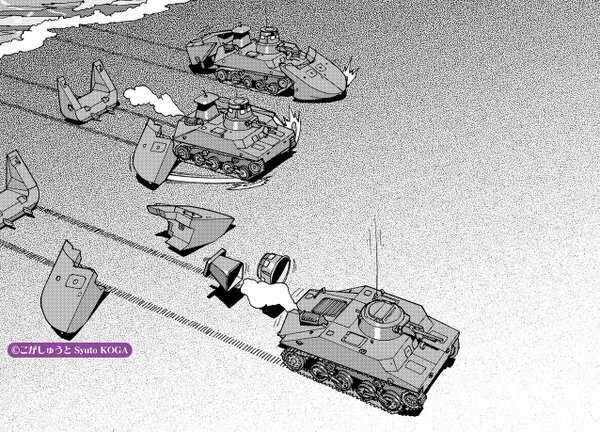 Mitsubishi had implemented this feature with the knowledge that this would provide an added bonus in combat: the floatation tanks would act as spaced armour. In practice, this would result in the sides of the tank having more protection than the bow and stern of the vehicle. It would also make the vehicle easy to use: during an assault, the vehicle would detach its pontoons for better mobility once it reached land. The jettisoned parts would simply be carried by infantry to a safe location for shipping when the operation was over. Process of pontoon removal during littoral assault. The Ka-Mi's front and rear pontoons were U-shaped to provide proper maneuvering capability to the tank whilst it was in the sea. The front chamber had a volume capacity of 6.2m cubed while the rear chamber had 2.9m cubed in the ballast. The infantry could relocate the pontoons when detached with the aid of a gear tool located on the tank. Alongside the pontoons were the conning towers, which provided three ports to see out of due to low visibility from the tank in the water. On the top was a hatch for the commander to manually locate proper positions on the shore in proportion to their current location out in sea. To prevent rough seas from flooding engine compartment and sinking the vehicle, a conical rectangular air intake with a widened cap was mounted on the engine compartment. This was also detached when the tank entered a combat zone. The turret and 37mm were carried over from the Type98 light tank and given a conical sight for the crew during movement in waters. Additional rails were welded to increase buoyancy. Ammunition in the tank was stored between the turret and the tanks engine (which was located lengthwise in the rear of the Ka-Mi), and the turret crew included a dedicated loader. It was his duty to assist the commander by providing the shells and machine gun ammunition from the racks on the side to the two gunners. The tank preformed exceptionally well, and by the end of 1942 the SNLF placed an order for 300 units. Originally the tank was without a radio system, so the SNLF requested for one to be put installed. In surviving examples of the vehicle and photographs, this explains the modified radio antenna on the turret of the tank. Over time, other small details were altered to fit the Navy's needs and combat duties. In spite of the vehicles' success, the state of Japanese manufacturing meant that by the time of the war's end only 180 had been built, owing to crippling of Japanese industry by the increasing superiority of US arms and production capacity. When deployed, the Type 2 Ka-Mi wasprimarily used against the Unites States and their invasion of Japanese held islands in the Pacific. Despite being an excellent amphibious vehicle when first deployed, the Ka-Mi would eventually succumb to the to a reality that Japan ignored until it was far too late: United States was technologically superior in armament capabilities. The Ka-Mi's Type89 37mm would quickly prove to be insufficient. As this realization dawned upon Japanese engineers, the Type 2 Ka-Mi would be eventually be fitted with the Type1 37mm upgrade in an attempt to compete. This would be the last major design modification given to the vehicle, which would soldier on until the end of the war in late 1945. Ammunition: 132 tank shells, 3900 MG cartridges. Stayed tuned tankers! Japanese tanks are coming and here to stay. I will keep you all updated when official news is released on the official Gaijin outlets. Until next time, tankers! Do you wreckon they will add an option to put the floats on it or another version that is modelled with the floats? Why? That wasn't combat-able as far as I understood it, plus the driver cannot see? Type2 often engaged with pontoons attached. would expect floats version to appear as a premium. 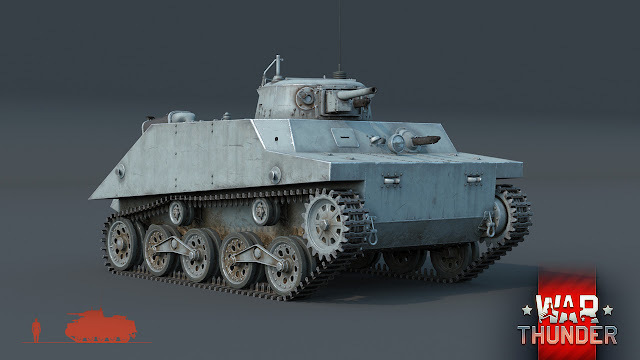 Do you think that Gaijin is going to add in vehicles with no prototypes built, like the Ho-Ri II, it is a very interesting design and I would love to see it in game. Like the R2Y2, it is possible down the line. However, Gaijin uses paper as a last resort. I do not think we need it anytime in the foreseeable future. I have heard that the vehicle could float in calm waters without the pontoons. Is this true?